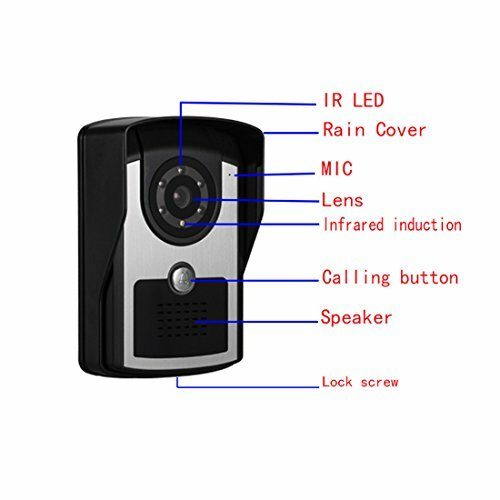 Functional characteristics:With monitoring, intercom, lock, bell, indoor intercom, volume, brightness, color adjustment function.1.7 inch TFT LCD, no radiation, low power consumption, wide screen high definition image. 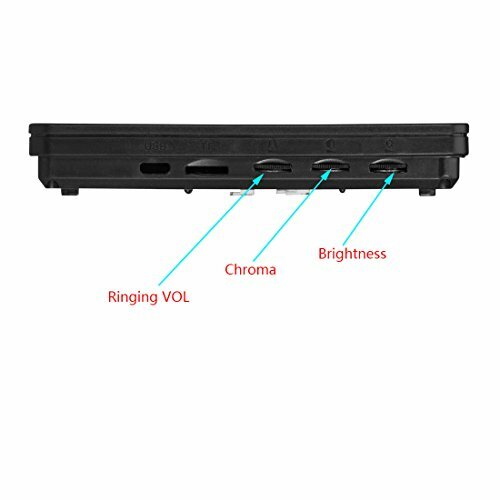 5, image brightness, chroma, ring volume, intercom volume can be adjusted.6, anti alumina panel and wear-resistant surface treatment of the outdoor machine, camera HD 700 lines. 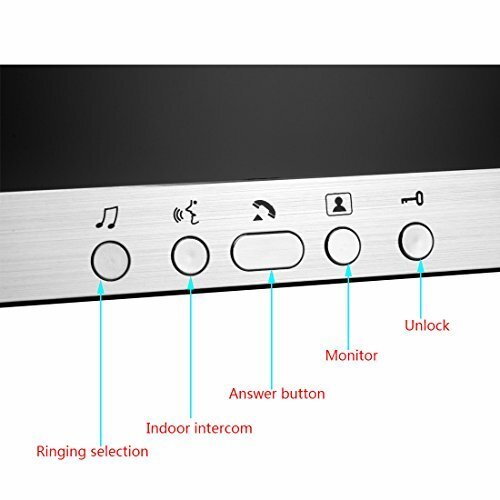 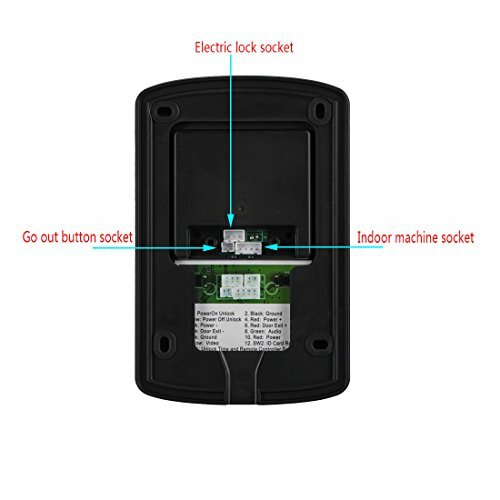 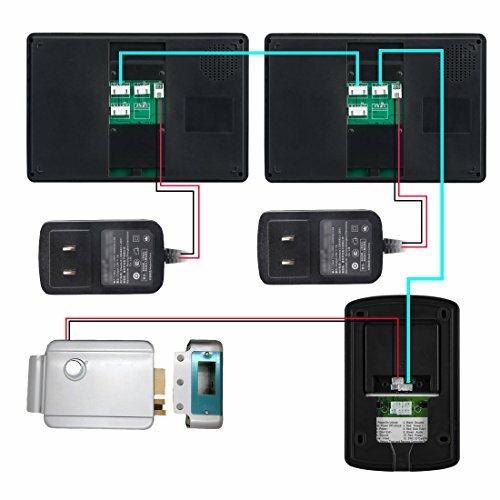 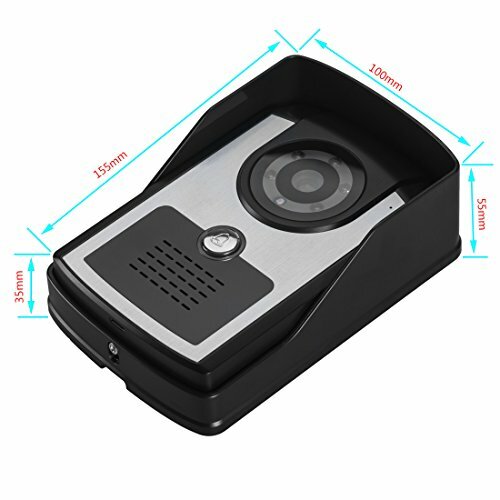 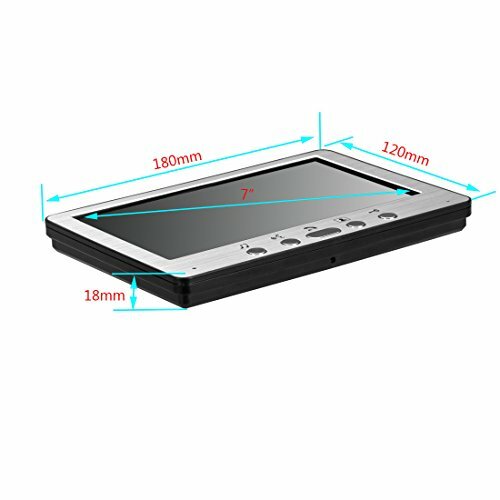 7, indoor machine ultra-thin aluminum panel design, beautiful and luxurious style.8, 16 kinds of chords optional, will not always hear the monotonous door bell.9, super waterproof, waterproof grade IP55, with night vision infrared function, wall mounted installation is simple and convenient. 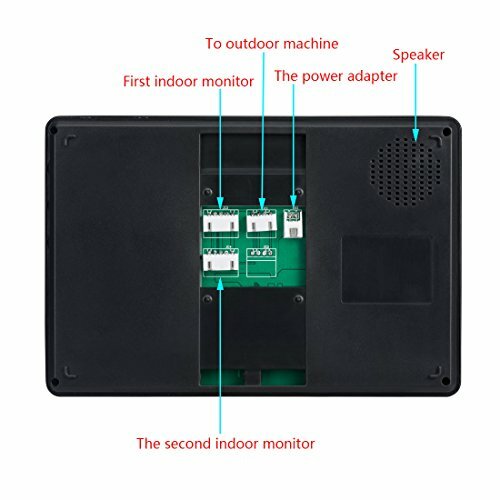 10, this product can be extended to a pair of two, six to three.